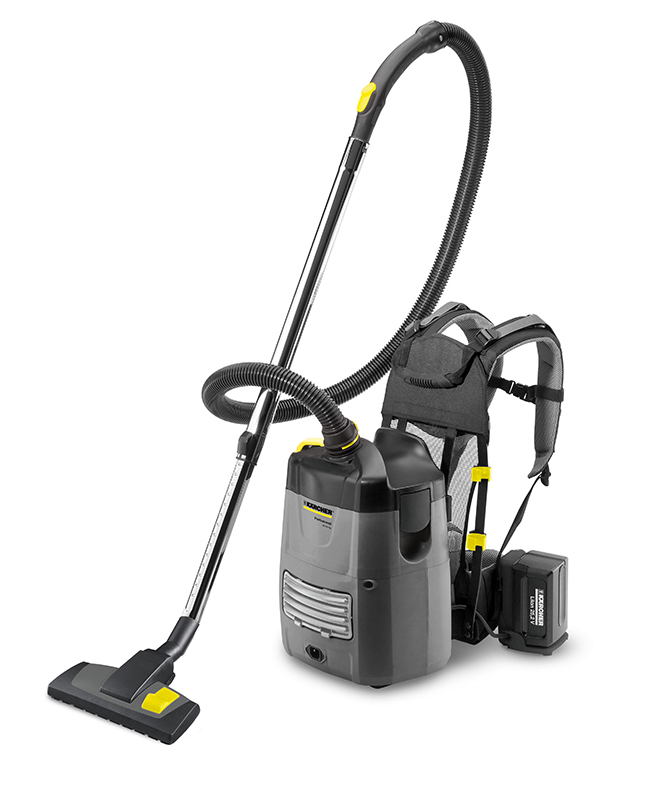 The BV 5/1 is particularly used where it is too tight for conventional vacuum cleaners between seat rows of cinemas and theaters, in buses, trains and airplane cabs, in stairways of hotels and offices as well as in strongly transferred areas. For ergonomic working the extremely comfortable stretcher rack (with patented ventilation system) is equipped with padded shoulder and lap belts, which can be adjusted individually to the operator. The large on/off switch on the side of the container is well attainable. Owing to the centrically arranged dust extraction hose the equipment can be used of right- and left-handed people as well. The 15 m long mains cable allows a large working radius even on stairs or scaffolds. The BV 5/1 is suitable for dedusting, absorption of normal types of dust or dry vacuuming between seat rows (theatres, cinemas, festival rooms), in corridors (between storage racks), on stairs or scaffolds, in stores, trains, buses and airplanes.